Our popular Bangle Bracelet is now available in gold! The same trendy style in this warmer tone allows you to coordinate your look with any of our other gold foundation pieces. 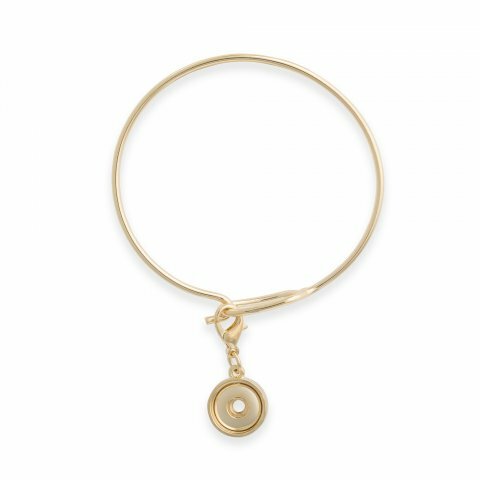 Add any of our gold 12mm Dots to the bangle drop for a planned, professional style.